The Western Front was a formidable theatre of war. 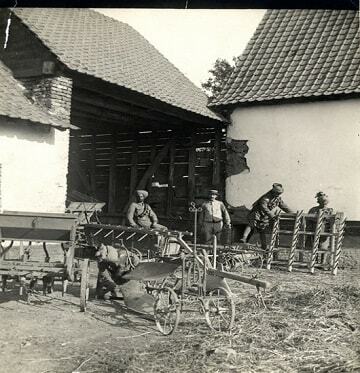 It was the German’s backyard and at the time the ally’s enemies were considered the best in the world. The British Army which was also known as ‘Old Contemptibles’ was already stretched thin and desperate for further reinforcements. The help came in piecemeal from Indian troops who were not the best equipped in an alien culture fighting for their colonial masters in a hope that it will help the independence struggle back home for their political masters. It was no secret that the Indian troops while passionate about the cause were not equipped in the same manner as their British counterparts. It was part of the Colonial policy, which stemmed from the 1857 uprising, where weapons of Indian soldiers was a generation behind. Further, the troops arrived in the harsh cold reality of Europe in their tropical khaki uniforms. Nevertheless, the troops adapted adequately and fought with discipline, bravery and honour. The locals from Marseilles gave them a warm welcome. They were showered with flowers, wine and tobacco amidst loud cheers before they went into the front line. The First Battle of Ypres in Belgium was where the Indians first fought as part of the Western Front. It was 57th Wilde’s Rifles and the 129th Baluchis Battalions who came to the aid of the allies. The 129th Baluchis was the first Indian unit to carry out an attack on 26th October 1914 on the Western Front. It was here where the first Indian Victoria Cross was won by Sepoy Khudadad Khan of the 129th Baluchis on 31st October 1914. This was the first time where the Indian troops fought collectively as the Indian Corps. There were heavy losses. The Commander of the Indian Corps Sir James Willcocks realised the significance of this battle to his Indian troops who were determined to push forward to recover the lost trenches from earlier battles. There were more heavy casualties in Givenchy where the Indian Corps was ordered to go on the offensive and held on to the German trenches in appalling conditions. The Germans retaliated with detonating a series of mines followed by hand to hand combat on 20th December. 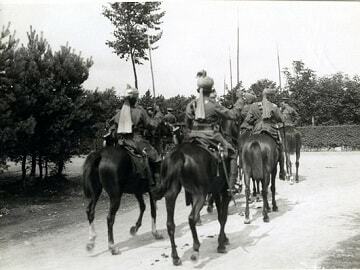 Indian troops fought for around thirty hours non-stop before reinforcements arrived two days later. 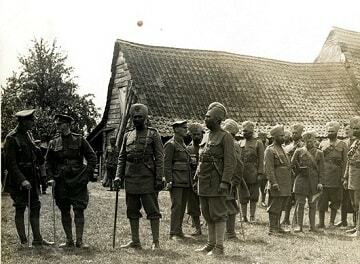 The Meerut Division of the Indian Corps and IV Corps was the first planned British offensive in March 2015. More than 2000 bodies were counted in front of the Meerut Division alone. 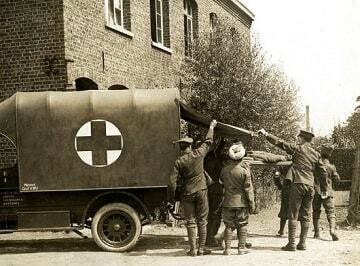 At the second battle of Ypres which began on 22nd April was the first time when poison gas was used in the war. Heavy losses were sustained by the 3rd Lahore Division during an attack on 26th April. Although the troops fought with great gallantry, none managed to actually reach the German trenches. The exact location of the Germans was unknown and it was later found that the Indian troops were too far to charge. Around 2,093 troops were killed during this battle where the strategy was to carry out a surprise attack by two separate forces to were to meet at Aubers Ridge to cut off German forces in the triangle Neuve Chapelle-Aubers-Fauquissart. 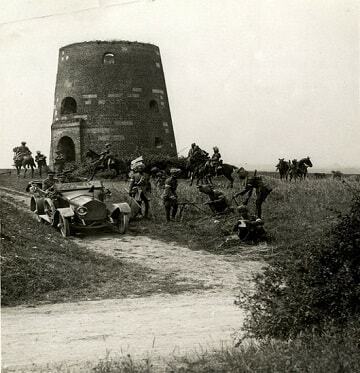 It was the Meerut and Lahore Divisions who took part the Battle of Festubert on 18th May. Lieutenant John Smyth of the 15th Sikhs was ordered to take a bombing party and two boxes of bombs from the old frontline to the captured trench over open ground with ten Indian volunteers. By the time they reached their objective only one man was left with him, the rest being either killed or wounded. Lt Smyth was awarded the Victoria Cross and all those who were with him were awarded the Indian Distinguished Service Medal (IDSM). Battle Honours are awarded to military units as an official acknowledgement of their achievements in specific wars or battles of a military campaign. These honours usually take the form of a place and a date and are emblazoned on the colours of the units that are so honoured. Artillery units, which traditionally do not carry colours, are awarded honour titles instead. Units take great pride in their Battle Honours and especially hard-earned honours are commemorated annually by the celebration of selected “battle honour days”.